When Lisa and I saw the new Willowby by Watters collection for 2019 we knew that it would be a perfect collection to sit along-side the other designer labels at Cicily Bridal. The fabrics, the styling and the fabulous prices (from £1000 – £1800) of the Willowby by Watters wedding dresses have made it an essential collection for Cicily Bridal and our brides. The Willowby by Watters collection will resonate with our brides who are modern, individual and are looking for something just that little bit different. From figure hugging silhouettes to ethereal a-lines, there is something within the collection for today’s bride. Whether your venue is a yurt in a garden, a Mexican beach or an industrial converted mill, the Willowby by Watters collection lets you be yourself and reflect your individuality. We love how the design team, based in Texas, USA, collaborate to create a label that draws inspiration from different cultures and traditions. World-wide influences from Eastern Europe to Mexico are woven harmoniously into each design and balanced with modern, free-spirited styling. 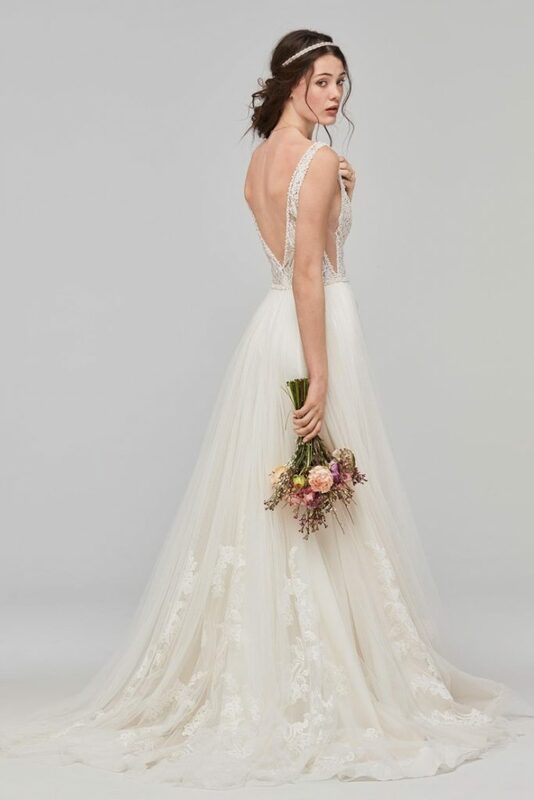 To celebrate our love for Willowby by Watters and because we just can’t wait for the new 2019 collection to arrive with us this July we will be hosting a trunk show on Saturday, 12th May. All the details of this event can be found here. We will also be having a capsule collection of some of the best styles from previous Willowby by Watters collections arriving with us this week as we NEED Willowby in our bridal lives now! So, if you are a bride who loves relaxed beauty, who wants to show her independent spirit and unique wedding style then book an book an appointment at Cicily Bridal as you will love trying the Willowby by Watters wedding dresses.